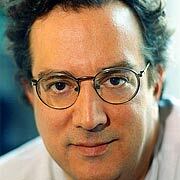 Jazz pianist/composer Uri Caine brings an eclectic array of disciplines and influences to his music. His own Jewish heritage, his classical and jazz training, and his interest in electronics combine in ambitious hybrids that are often challenging but always inventive. Caine grew up in an intellectual, open-minded family in Philadelphia. His father, a law professor at Temple University, and his mother, a poet and professor at Drexel, ensured the best musical education possible for their son, having him study with French expatriate pianist Bernard Peiffer. Uri Has recorded and performed with DJ Logic, ?uestlove, Don Byron, Joey Baron, DJ Olive, Tracie Morris, Dave Douglas, Dave holland, and Aaron Bensoussan and countless others.